The Verdict On “The Punisher”: Is It Worth Your Time And Money?? 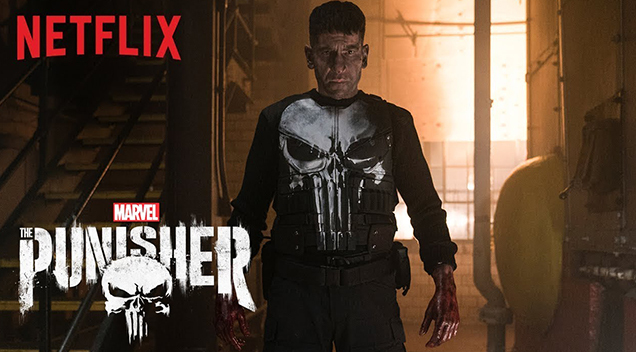 When the second season of Netflix’s “Daredevil” series premiered, it introduced a standout new character that quickly captured people’s attention and interest right off the bat: Frank Castle aka The Punisher. The character has been poorly represented in 3 different films over the years. So much so that the character’s rights inevitably went back to Marvel Studios so they can properly bring the character to life; albeit on the small screen this time. This new take on The Punisher was so well received, the character got his own spinoff series and that is the version of “The Punisher” I’ll be looking deeper into with today’s review. After the events of “Daredevil” Season 2, The Punisher, an ex-marine turned gun toting vigilante (Jon Bernthal); is believed to be dead and is free to return to a quieter, more miserable life after finishing off the last of the people responsible for murdering his family. However, after being discovered by a mysterious hacker genius known as Microchip (Ebon Moss-Bachrach), he finds out not everyone believes he is dead. A strange conspiracy is corrupting the U.S. military and leading Frank to new clues and new foes regarding the mystery behind his family’s brutal murder. Now he must become the Punisher once more and punish those who prey on the innocent. 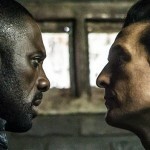 When I first heard about this series, I was really intrigued to see where they would go with this character; especially considering his brutal methods are perfect for Netflix’s darker take on these comic book characters. Unfortunately, those expecting to see some quality shoot ‘em up violence will be sorely mistaken, as will those expecting to see the vigilante known as “The Punisher.” The show’s primary problem is inescapably difficult to deal with. Since Castle thinks everyone who killed his family is dead, he pretty much gives up being The Punisher and doesn’t start acting like his “vigilante self” until towards the very end of the series. Instead of seeing character iconic shoot outs and blood soaked vengeance, we see an uninteresting military conspiracy mystery and Jon Bernthal reliving the same boring flashbacks and routines episode after episode. There’s much time spent building on this conspiracy, planting all these obvious leads and clues and characters that clearly point to something bigger taking place…it’s just not that big or as interesting as the story makes it seem. It’s like we caught up to the Punisher after he’s retired and put his violent ways behind him, so like the worst possible time you could start a new series on a character. There are some violent pieces here and there but it’s few and far between. Bernthal still makes the character a role to be reckoned with, switching from dark, to dramatic to heartfelt when need be; he’s a perfect fit for the role. Ebon Moss-Bachrach is a great addition as Micro. His scenes with Bernthal were some of my favorite moments and their involvement was about the only enjoyable part to the conspiracy plot. Many people were concerned that the increasing number of violent shootings in the U.S. would affect the release of this series due to its heavy use of gun violence. The series release date was delayed and the creators said no part of the content was changed as a result, though if you had told me some of the content WAS change; I could see how they could say that after seeing the series. “The Punisher” is known for his extreme interrogation techniques and constant use of deadly force. His “take no prisoners” attitude is the trademark trait of the character, but it just doesn’t feel like that part carried over properly. This feels like a cop drama you’d find on NBC or TNT that just happens to have a vigilante who at the very END of the season turns into the Punisher. Overall, “The Punisher” may not be as bad as “Iron Fist” (it’s worst reviewed series), but it definitely makes it hard not to be seen in an equally negative light. Bernthal is a great fit for the role and I wouldn’t want anyone else to play him, but I DO wish everyone else involved on this series would have outsourced to someone better at executing proper drama, storytelling, and most importantly; accuracy to the character. Even the poorly received movies included some wacky, absurd characters and weapons that exist in the Punisher universe. This Netflix series is too realistic in the worst way possible, and swaps out the character’s gun running methods for a lackluster conspiracy plot that feels and reads as broken and poorly as the titular character. The Verdict On Netflix’s Babysitter: Is It Worth Your Time?? 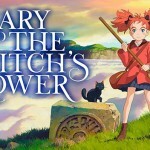 The Verdict On Mary And The Witch’s Flower: Is It Worth Your Time And Money?? 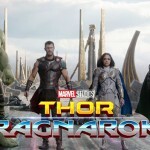 The Verdict On “Thor: Ragnarok”: Is It Worth Your Time And Money? ?